Now, if you’re like us, you probably wondered, “Reclaim it from who? Didn’t they already have that title?” Well, sort of. 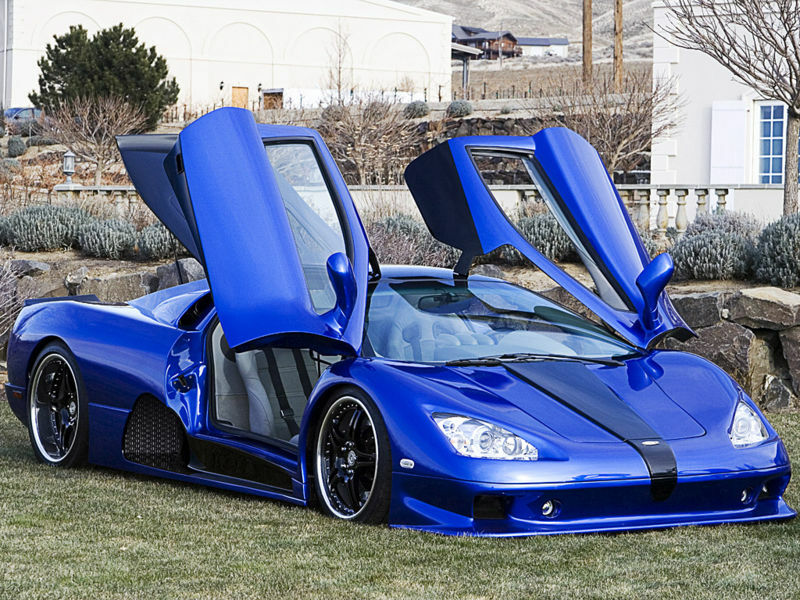 If you ask the Guinness Book of Records (motto: “Obsolete since Wikipedia”), they’d say up ’til now, the world’s fastest production car was America’s own SSC (Shelby SuperCars) Ultimate Aero, which clocked a 256 mph run on a closed highway in Washington State in 2007 thanks to a claimed 1183 horsepower from its twin-turbocharged 6.4 liter V8. But we’d refute this claim, for three reasons: a) considering they made only 50 examples of their one model, SSC is as much an “automotive manufacturer” as BP is an “eco-friendly energy company,” b) the “Shelby” in the company’s name does NOT refer to Carroll Shelby, which is a gross misrepresentation (even if it still is the last name of the company’s founder, Jerod Shelby), and c) the Ultimate Aero is pug-fugly. 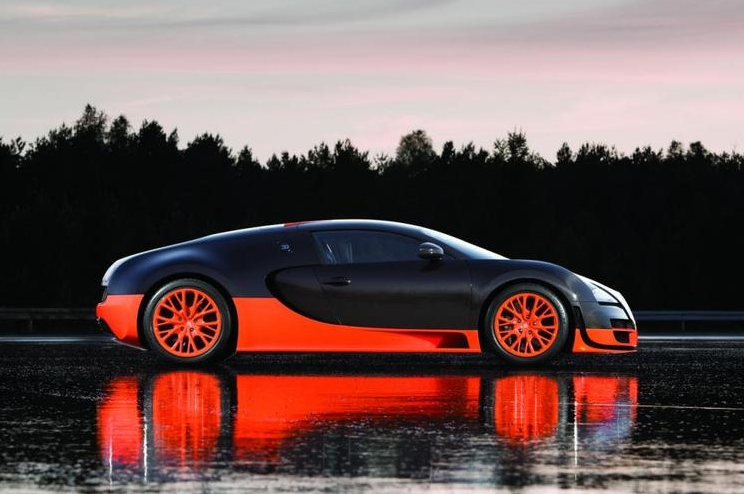 I mean, the Veyron is no Marisa Miller, but at least it looks expensive. The Aero just looks like a bad body kit for a Lamborghini Diablo. 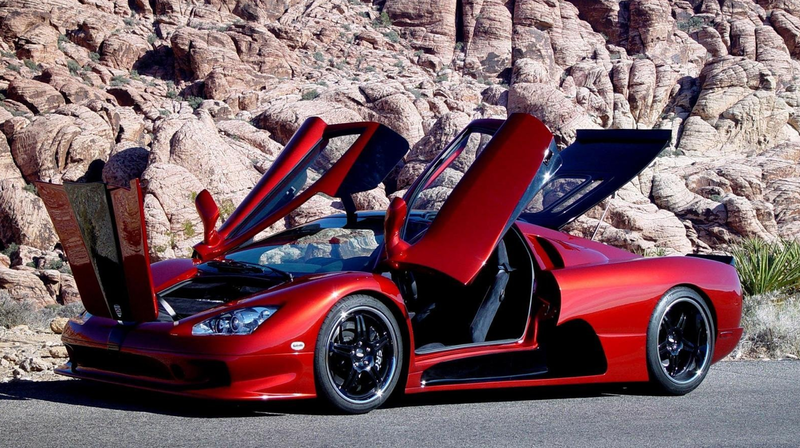 The SSC Ultimate Aero in a defensive posture. But hopefully, now that Bugatti has reclaimed the top speed record, we won’t have to look at the Ultimate Aero for quite a while. The Veyron Super Sport (a term which, between this car and the Bentley Continental Supersports, VW is clearly trying to steal away from Chevrolet) ripped off an average top speed of 268 miles per hour on Volkswagen’s test track. 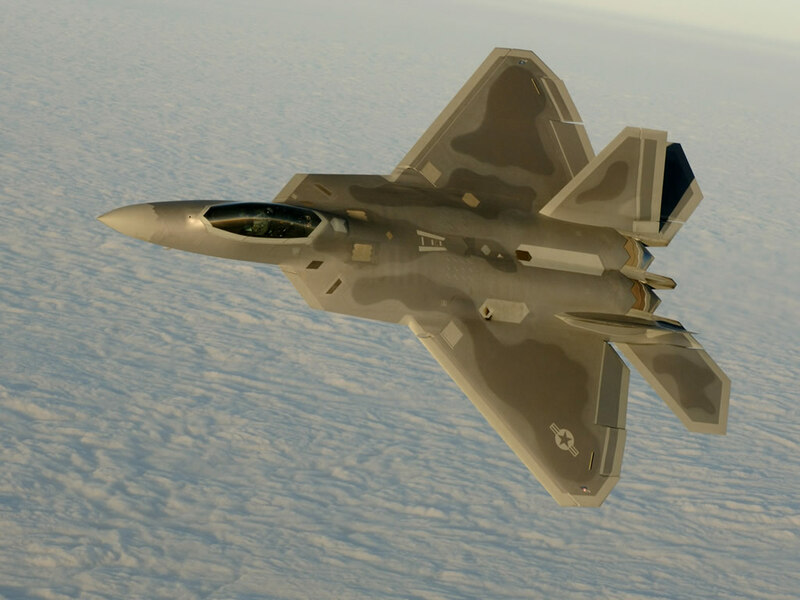 (Fun fact: that’s about 36 percent of the speed of sound at ground level!) No word on whether the vehicle actually used to break the record was clad in the same repugnant black-over-orange paint job used on the pictured car. But luckily for our grandchildren (remember, folks, take some pictures this winter, ’cause your descendants won’t know what snow looked like! 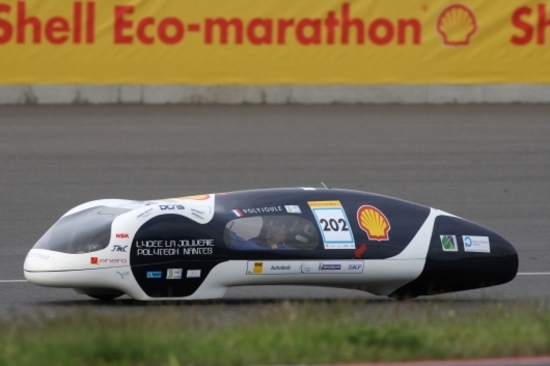 ), a group of students from the French schools Polytech Nantes and Lycée La Joliverie cancelled out the Veyron’s carbon emissions by created a car capable of going 11,516 miles on the energy equivalent of a gallon of gas. (Or or 4895.91 kilometers per liter, if you want to get all metric about it.) The car uses a hydrogen fuel cell, so they simply converted the amount of hydrogen used into the amount of gasoline with the same amount of energy. Sadly, the French étudiants didn’t actually drive 11,516 miles at what we have to imagine was the speed of a stoned tortoise, but rather drove around a race track and simply extrapolated, which, let’s face it, is kind of cheating. Man up, Polyech Nantes! 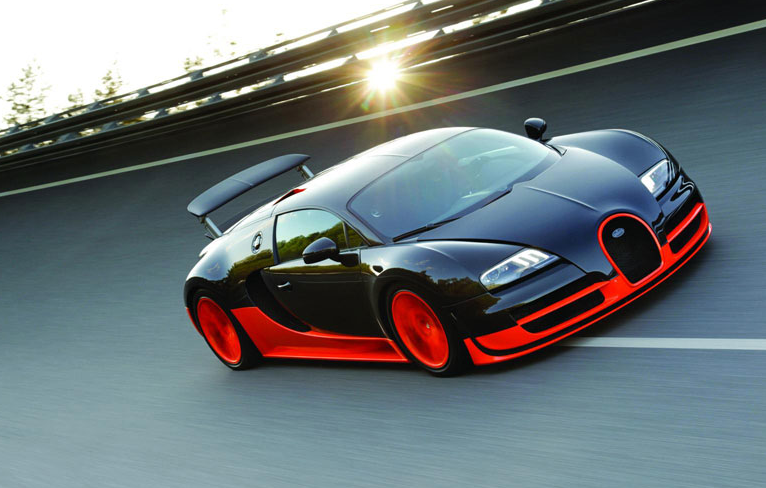 Bugatti actually pushed their car to 268 mph. Let’s see you drive around a racetrack a couple thousand times.